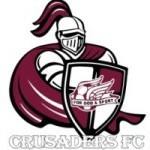 While winning is the ultimate aim of any football game the emphasis of football with Engadine Crusaders Soccer Club is participation and enjoyment. This policy has been developed to give Coaches and Managers of the Club direction regarding player game-time and how to manage player substitutions. It has also been developed to protect the rights of all players regarding access to play. All players should be given equal game-time and should have equal opportunity of being in the starting line-up irrespective of ability, race, gender or age. The team Coach and Manager should ensure that all players are treated equally and fairly within the team. In developing a “Player Game-Time Policy” it is important to note that there is no single defined set of rules upon which Coaches and Managers can rely as all players are different and all players have different expectations and levels of fitness. All players should be treated fairly and, if appropriate, this will equate to equal game-time. The following should be followed when assessing exceptions to equal player game-time. a) Where player fitness is poor repeated substitution is appropriate and this may reduce overall player game-time. Coaches and Managers have a duty of care to players to ensure that they do not play while physically stressed beyond their abilities. This exception does not relate to player ability. b) Where attendance at training is limited, without appropriate excuse, reduced inclusion in the starting line-up is warranted. An appropriate excuse includes anything limiting training / game attendance that is beyond the control of the player. c) During the finals there is some additional flexibility relating to the fielding of the “best possible team”. The fundamental premise that “all players receive equal game-time” should be noted when planning player rotations however. d) If player behaviour is an issue it is appropriate that limiting game-time or limiting game starting be applied as a control mechanism. All instances where this is implemented MUST be documented by team management and made available to Club officials upon request. As there is no single set of rules regarding player game time it is recognised that there will be differences in application throughout the Club and consequently the need for an appeal mechanism for players. If a matter cannot be resolved at team management level then the matter should be brought to the attention of the Club Coaching Coordinator. While players/parents can choose whether to involve the Club management, Coaches and Managers MUST immediately bring any conflict to the attention of the Club Coaching Coordinator.